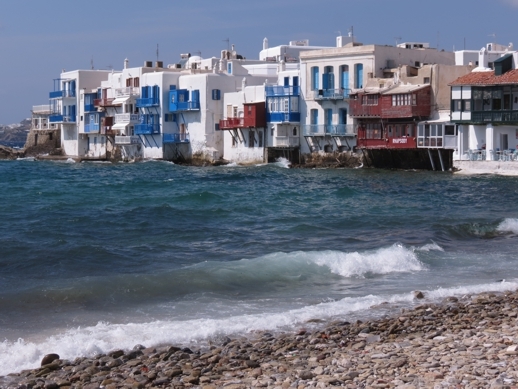 Rising rates: Survey data from Trivago, the international hotel comparison website, has confirmed something I have been noticing for months — accommodation prices on Mykonos have risen sharply since last year. In fact, the average nightly price for a Mykonos hotel room this month has climbed to a stunning €322 compared to €200 per night in July 2013 — a whopping 61% increase, Trivago’s research data indicates. 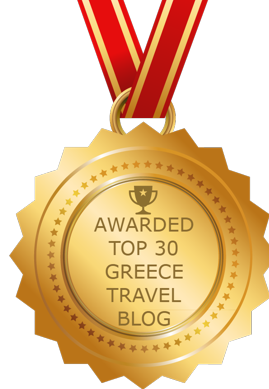 This news comes on the heels of a separate Trivago survey result released several days ago that ranked Mykonos as the 7th most expensive destination in the world in terms of hotel prices. Many Mykonos hotels had frozen or even reduced their rates during the economic crisis that has devastated Greece for more than five years, with some properties losing money or barely breaking even each year as owners waited for the economy to improve. With Greek tourist traffic soaring to record levels this summer, it appears that hotels may be taking advantage of the increased demand for accommodation to try to recoup some of the losses they sustained. 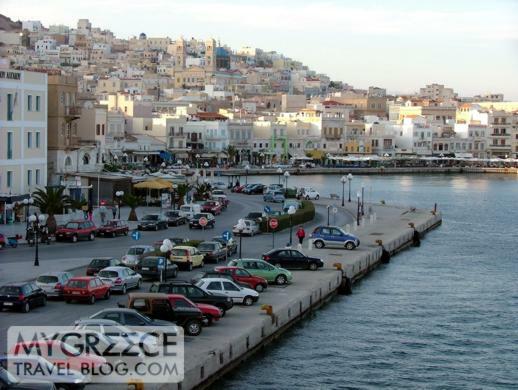 Parikia is the biggest town and port on Paros. Average hotel prices for Parikia have increased 10% this month from the same time last year. But Mykonos isn’t the only popular destination in Greece where hotel prices have increased since last year. The Trivago survey shows that rates have climbed anywhere from 3% to 38% in 16 other island and mainland locations. 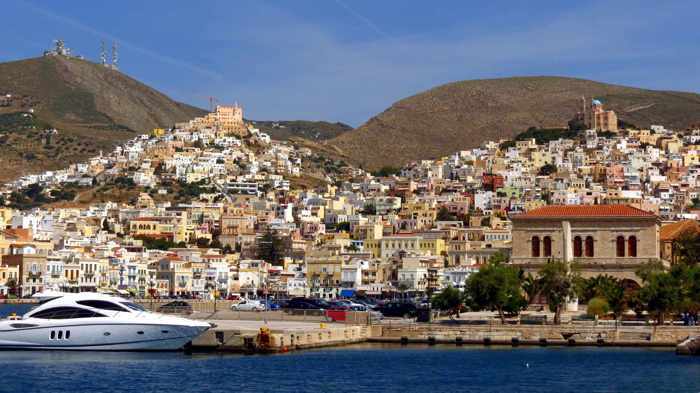 Places posting single-digit price increases include Corfu (+3%), Agios Nikolaos, Andros and Hydra (each +5%), plus Iraklio, Naxos and Rethymnon (up 8% each). Locations with double-digit increases include Parikia (+10%), Rhodes (+15%), Chania (+16%), Hersonissos and Kos (each up 17%), Elounda (+18%), Ios (+19%), Zakynthos (+21%) and Lefkada (+38%). Higher prices are not a trend throughout Greece, however, since nightly room rates actually have dropped significantly on some islands or, in the case of Rhodes, at one of its most popular tourist destinations (Lindos), Trivago data indicates. 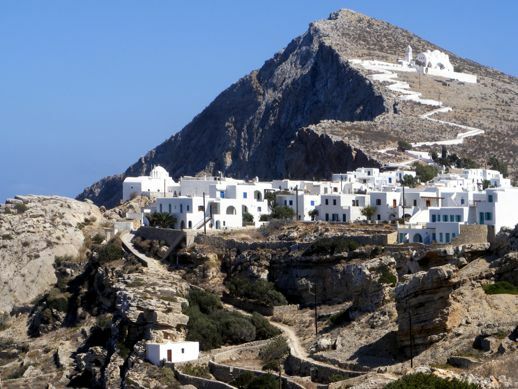 On Folegandros, for example, the average price for a hotel room this month is €97, down a startling 27% from the €133 average rate in July 2013. Sharp price cuts also occurred at Koukounaries on Skiathos (-24%), Spetses (-23%), Argostoli (-15%), Astipalea (-14%), Ermoupoli on Syros (-13%), Lindos on Rhodes (-10%). 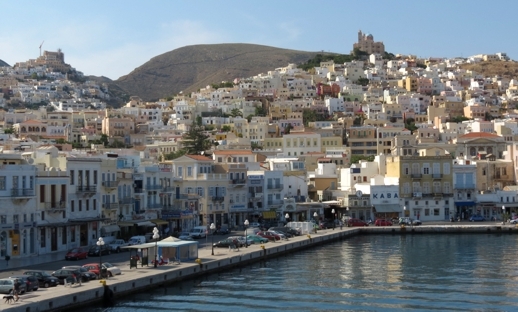 Lower reductions were noted on Koufonissi and Tinos (both -4%) and at Molyvos and Apollonia (both -3%). Curiously, the Trivago survey didn’t mention prices on Santorini which, like Mykonos, is one of the most popular tourist destinations in Greece. 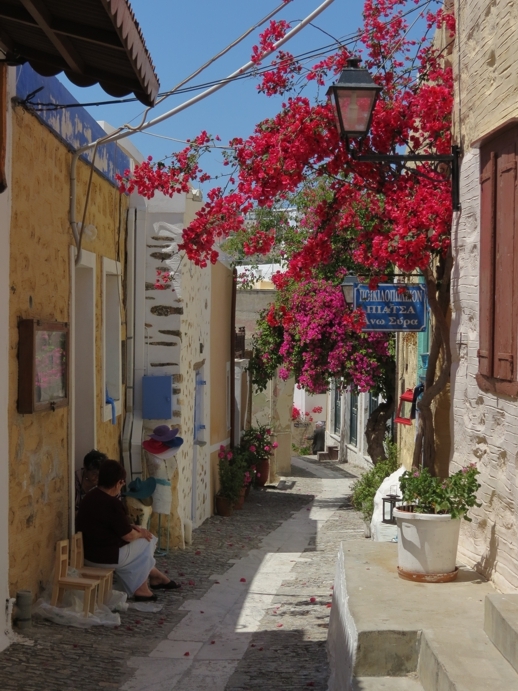 Chora village on Folegandros. Average hotel room rates on this charming island dropped by 27% this month compared to July 2013, Trivago says. 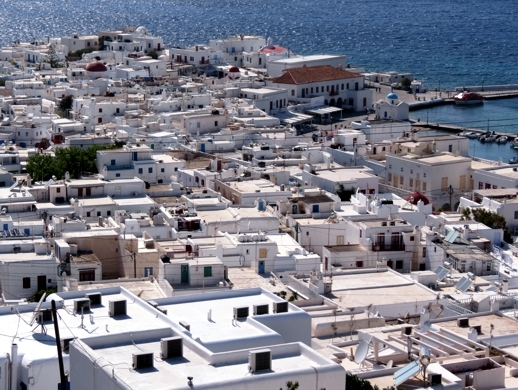 The data showed that the average online price for a hotel in Mykonos Town was €244 Euros. This gave Mykonos the #7 spot on Trivago’s list of the Top 10 Most Expensive Global Destinations, behind #1 Velden, Austria; #2 Belek, Turkey, #3 Ascona, Switzerland, #4 Porto Vecchio, Corsica, #5 Montreux, Switzerland, and #6, Boston, USA. Rounding out the top 10 behind Mykonos were #8 New York, USA, #9 Locarno, Switzerland, and #10 Lugano, Switzerland. The results of the two Trivago surveys will cement Mykonos’s reputation as one of the most expensive places to visit in Greece — something that shouldn’t really come as a surprise, considering that the island was put on the map by the jet set in the first place, and remains a popular getaway destination for the world’s rich and famous. Still, a 61% increase in prices is startling, even for a place frequented by affluent travellers. Rooftops on buildings in Mykonos Town. Hotel rates on the island are practically going through the roof this year, rising 61% over prices for July 2013. I noticed that Mykonos hotel prices were on the rise early this year when I was checking hotel rates to answer accommodation questions posted in the Mykonos travel forum on TripAdvisor.com. Prices seemed marginally higher than I remembered them being in 2013. As winter moved into spring, I received numerous private messages on TripAdvisor, and emails to my blog, from people seeking suggestions for cheaper accommodation because they were finding summer prices too high. Many of the people complaining about high hotel rates were travellers from the United Kingdom who wanted to stay on Mykonos only one night. They were flying to Mykonos on EasyJet or British Airways direct flights, but immediately transferring to another island — usually Naxos, Paros or somewhere in the Small Cyclades. 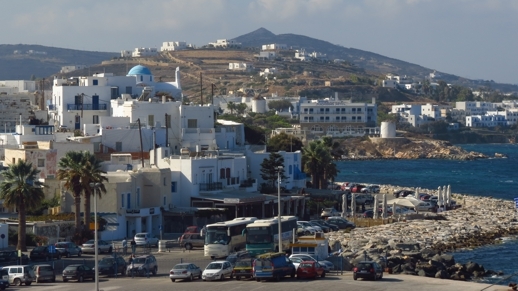 Because of awkward ferry schedules, many of these travellers would have to spend a night on Mykonos in order to catch their return flights home. Many were astounded not only by the high room rates on Mykonos, but also by the fact many hotels impose a minimum stay requirement of 3 nights or longer during peak travel season, which limited their accommodation options even further. My advice for travellers seeking summer bargains is to shop around on Trivago and other online sites, and to compare prices found there to rates listed on hotel websites. Booking directly with a hotel can sometimes achieve either significant price savings or extras like complimentary shuttle service to and from the Mykonos ferry ports or airports. If you still find Mykonos hotels too expensive for your budget, consider visiting nearby islands like Naxos or Syros instead, or one of the places where the Trivago survey showed that prices have dropped this year. There are many other islands where budget-minded tourists will get more bang for their buck. 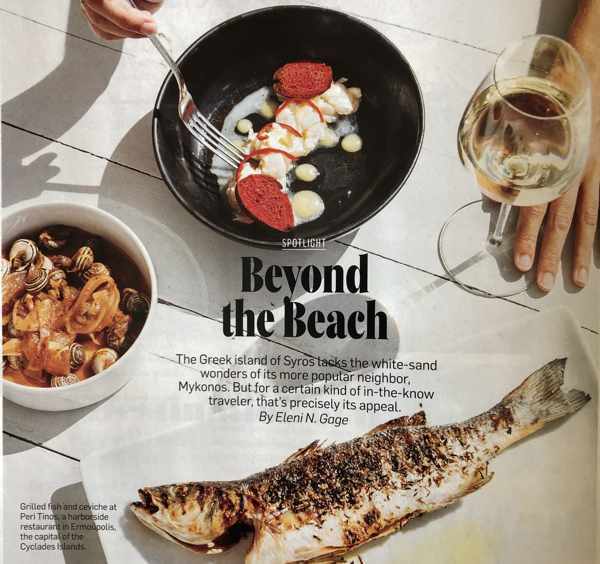 But if you’re looking for glitz, glamour and glitter, there’s only one Mykonos — and going there this summer could put a bigger dent in your wallet than you’re anticipating. 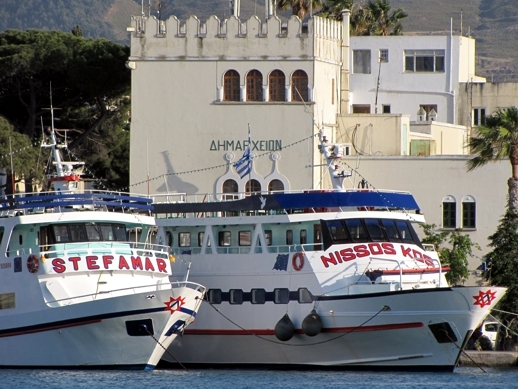 Tour boats in the harbour at Kos Town. Trivago found that average hotel rates for Kos have gone up 17% for this month compared to the same time last year. Two local ladies chat while sitting on a doorstop on one of the marble-paved streets in Ano Syros (Upper Syros), a Venetian-era village perched on a hilltop above the beautiful city of Ermoupoli on Syros island.